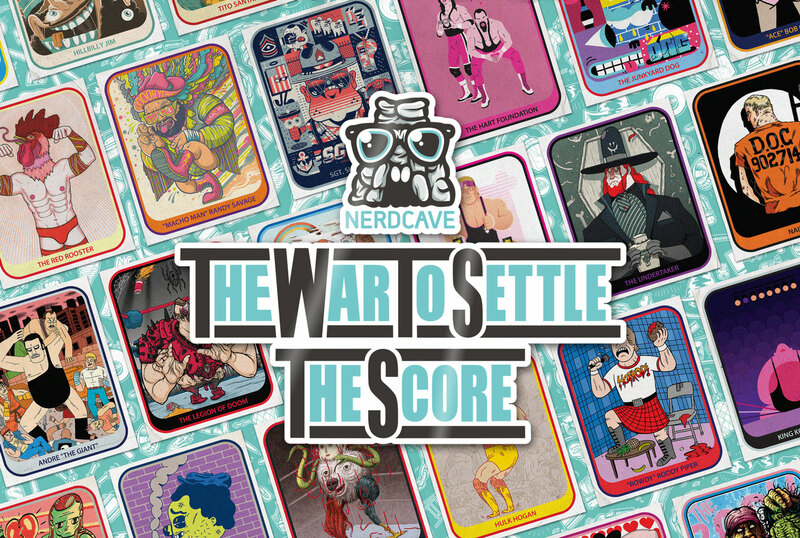 THE NERDCAVE - Book Launch & Exhibition - War To Settle The Score. 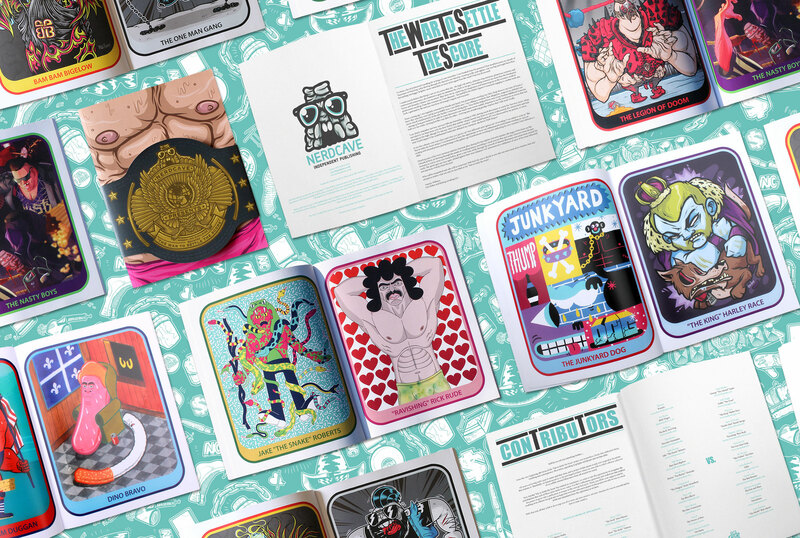 Whether you’re a fan of classic wrestling or contemporary illustration the ‘War to Settle the Score’ book provides a visual journey through the golden age of professional wrestling, celebrating infamous grudge matches and iconic characters from the past through the illustration work of the greatest artists from the future! From the very beginning the aim of the Nerdcave wasn’t to just produce a book, but to create a fully engaging experience, a wrestling themed art exhibition that was both immersive and nostalgic. We achieved this by showcasing the contemporary artwork submitted for the project alongside vintage wrestling collectables and memorabilia, ensuring that the exhibition appealed to both grapple enthusiasts and art fans alike. During the ‘War to Settle the Score’ project we were also lucky enough to work with several specialist independent businesses to produce a series of unique and unusual collaborative products. These included a sweet customised skateboard with the good folks at Welcome Skate Store that is almost definitely guaranteed to help you rip like never before. With the on point registration of Manson’s Press, we were able to create a series of super limited managerial prints. Then we put our collective Nerdcave genius to good use and forged an enamel pin badge inspired by one of the most macho wrestlers ever, dig it! Nerdcave and Tallboys Beer Market then combined to bring you the ‘Finishing Moves Four Pack’, a collection of cold ones inspired by some of the deadliest finishing maneuvers in the history of professional wrestling! 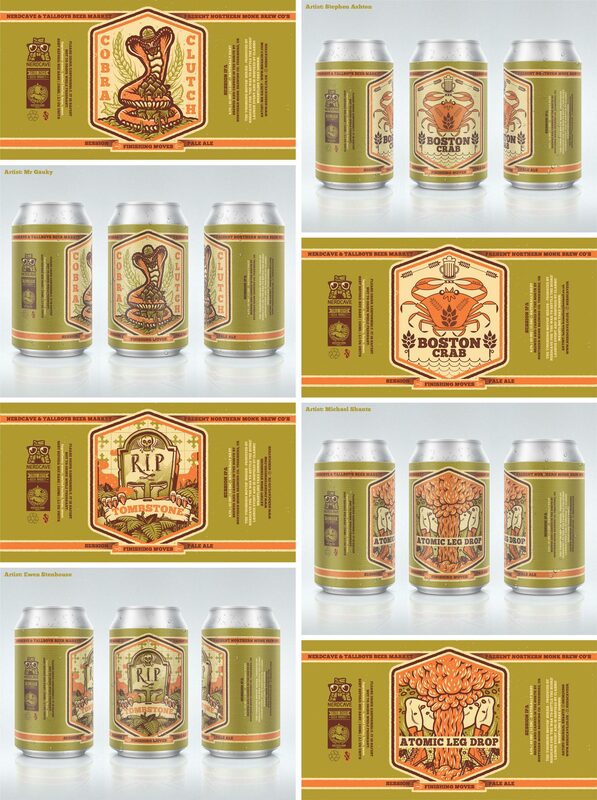 The ‘Finishing Moves’ beer was brewed specially by regional experts Northern Monk Brew Co. while the unique label designs were produced by four leading contemporary illustrators. 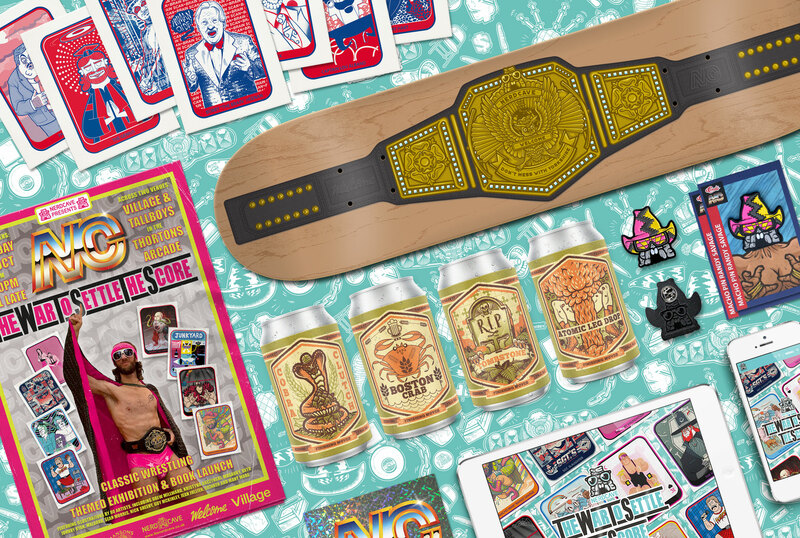 This deadly combination of art and craft beer resulted in a four-pack of seriously drinkable, wrestle themed booze. We would like to take this opportunity to thank everybody involved with the ‘War to Settle the Score’ project. It is their enthusiasm, generosity and endeavour that enabled us to bring our ideas to life. We sincerely hope that everyone who participated in this endeavour were able to take as much pride and enjoyment from the experience as we did! With that said, all that is left for us to do is urge you all to train, say your prayers, eat your vitamins, be true to yourself and be true to your country.